Sis. 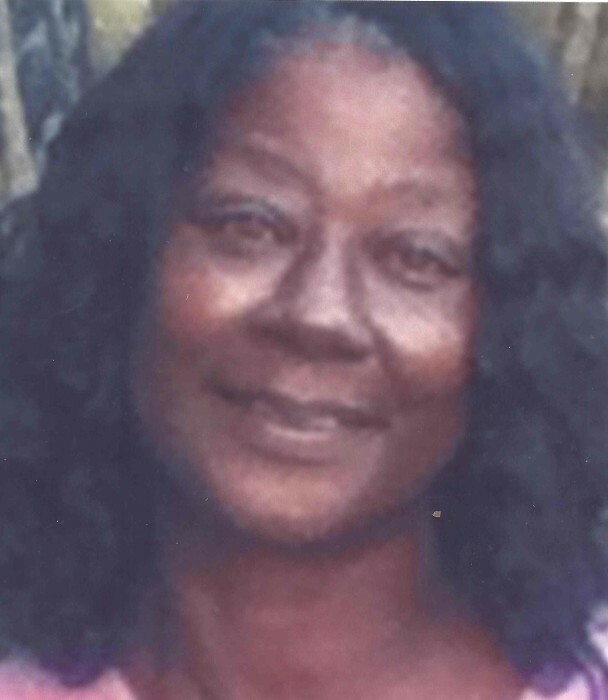 Queen Esther Jennings, 68, departed this life on Sunday August 26, 2018 in Florence County. She was the wife of Eugene Jennings and the mother of Kenneth Campbell. Funeral services are scheduled to be held at the Jackson & McGill Memorial Chapel Tuesday September 4, 2018 at 11:00am. She will be laid to rest in the Florence National Cemetery, Florence, SC. Queen attended the public schools of Marion County and later relocated to Lynn Mass. where she graduated from English High School. After graduating H.S Queen worked for G.E Telephone Co. for many years until she relocated back to South Carolina. Queen Ester loved music and singing, she also had a love for children, she was adored by her family and friends and has left a long lasting impression on those who had a chance to know her. She was preceded in death by her brothers Eugene Porcher, Lenard Porcher-Johnson, Willie Davis, Hayward Davis and sisters; Doris “Dee Dee” McCellon, and Rosie Marie Brantley.